Majestic Downfall (Mexico) and Helevorn (Spain) will embark on a cross-Canada Tour this May 2019. Majestic Downfall will be touring ahead of their presentation at Maryland Death Fest 2019 at the end of May, and also presenting their fifth full-length release “Waters of Fate” released last December 8, 2019 to positive reviews on the Russian label Solitude Productions and Chaos Records. 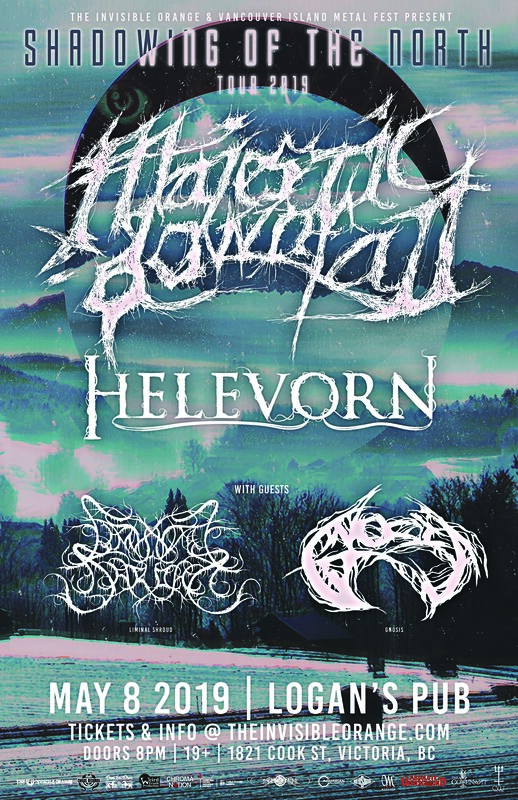 Helevorn will be touring North America for their first time in support of their fourth full-length album “Aamamata”, which is scheduled for release January 23, 2019 also on Solitude Records.